When it comes to the reasons for this behaviour there are a lot of theories as to why dogs are always hungry, including that it is simply down to biology. Often dogs are not actually hungry when they ask for food, but will eat whenever food is available. This goes back to the instincts of their wolf ancestors who would eat as much food as possible just in case it would be their last meal for days. If you have a rescue dog which has been living on the street with a lack of food and suffering from malnutrition, it might simply remember what it feels like to truly starve. 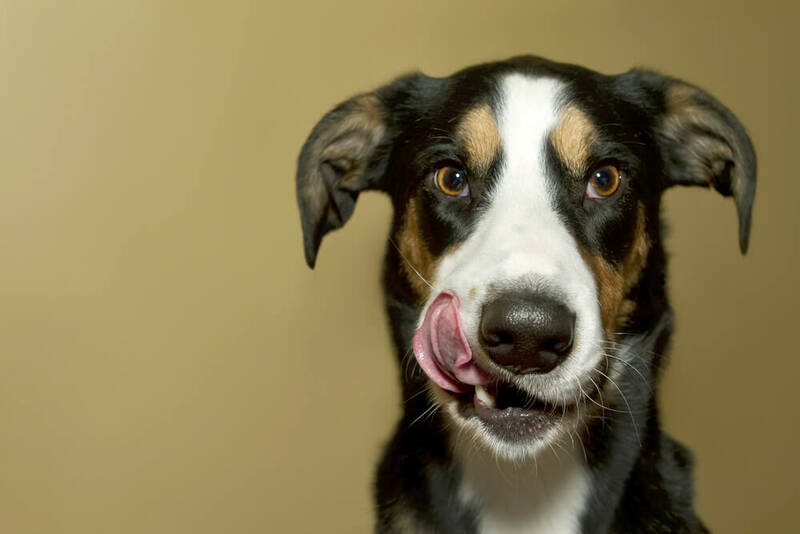 Another theory suggests that constant hunger could be a behaviour your dog has learnt. Your dog may have learnt from past experience that if he keeps begging he will eventually get given some food. However, it is important not to cave in. This is a prime example of killing with kindness as the more food you give your dog on demand, the more they will expect. In a few cases, constant hunger can be a warning sign of a medical issue such as diabetes or Cushing’s disease, so never feel afraid to ask your vet if your dog might be suffering from more than just a ravenous appetite. So, when it comes to finding a solution to your dog acting like they are starving there are several things you can do. The first question to ask yourself is whether or not the volume of food you are feeding your dog is sufficient. For example, many dog foods pack calories into a small amount of food, which means by picking the right foods you can feed them more without increasing their calorie intake. I have worked with several ‘starvers’ who’s behaviour completely changed when fed a home cooked diet providing the dog with a larger volume of food, yet the same calories. Another option is to cut back on the amount of fatty foods such as treats and table scraps you feed your dog. This will give you more calories to work with, and means you can feed a higher volume of leaner foods such as courgette or turkey breast. You can also add low calorie foods which have a higher fibre content to help your dog feel fuller. Try foods such as green vegetables and green beans which will satisfy most dogs, however they do tend to soften their stools, so don’t feed your dog too much. Another option is splitting your dog’s food into three feedings a day to control their appetite. If your dog tends to eat all their food incredibly quickly, you could also think about investing in a slow feed bowl such as a green feeder.